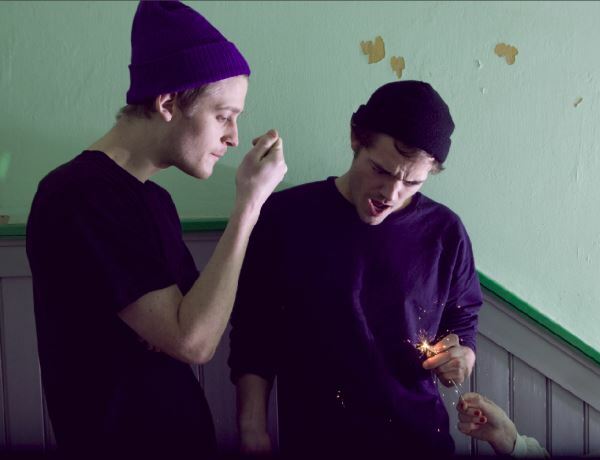 Kenton Slash Demon are one of the most promising new talents out of Denmark. The two guys have gained great attention, without releasing a lot of material. Their sound is both organic and futuristic, and their obvious skills take their productions further than the typical frame and dramaturgy of a club track. Kenton Slash Demon want to measure soundtracks for the clubs as well as music that you could listen to on your home stereo. Silas Moldenhawer and Jonas Kenton, both childs of the early 80´s, grew up alongside each other in the tiny big city of Copenhagen. In their teenage years they discovered their fellow passion for electronic music, started spinning records and producing tracks. Years later they met two other talented musicians and formed well-establish Danish indie-electro outfit “When Saints Go Machine”, but still kept on building Kenton Slash Demon as a separate project. So while working on their When Saints Go Machine debut, Kenton Slash Demon released their critically acclaimed “Khattabi EP” (Tartelet Records) in June 2009, and the release was playlisted and championed by artists such as Dj Koze, Claude Von Stroke & Luciano. Title track “Khattabi” was chosen by French Dj Brodinski for his BuggedOut compilation and German music magazine De:Bug wrote: “if you can imagine house music as an Indian free jazz opera, that's Kenton Slash Demon”. While gaining respect for their creative and dynamic dj-sets throughout Europe, the Danes started filing their newest project: “The Schwarzschild Solution” trilogy. The Schwarzschild Solution is one of the simplest and most useful solutions of the Einstein field equations. It describes space-time in the vicinity of a non-rotating massive spherically symmetric object. It is worthwhile deriving this metric in some detail; the following is a reasonably rigorous derivation that is not always seen in the textbooks. The trilogy contains the EP´s entitles “Sun”, “Matter” and “Daemon”. First EP “SUN” was released in August 2010 and is already one of the most hyped records of 2010. Hailed by the likes of Tiefschwarz, dOP and Catz' N' Dogz, who called it “one of the best releases this year!”. You will also find Hot Chip, John Talabot and Gold Panda are amongst the fans of “Sun”. The next “The Schwarzschild Solution” EP “Matter” is gong to be released mid October 2010.